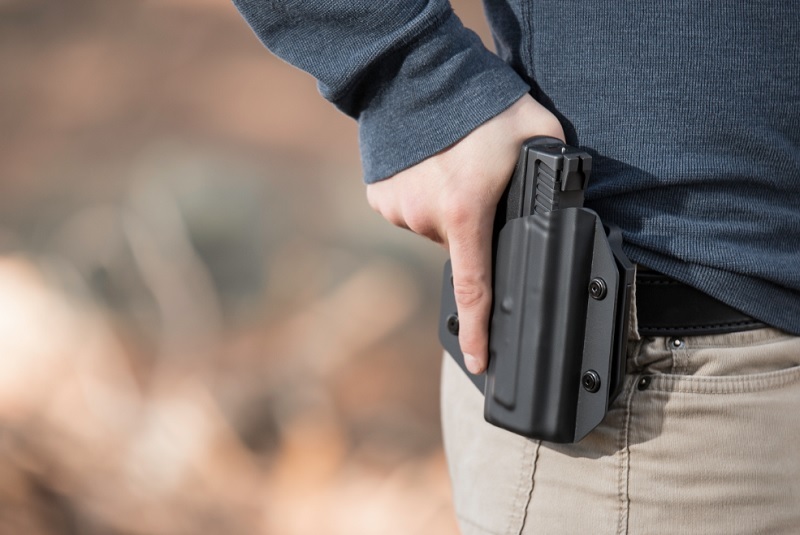 Holster design has come a long way in the past couple decades, as the hybrid holster has become perhaps more popular than the leather holsters of previous eras. There are hybrid holsters for almost any type of waistband carry and they are pretty intuitive to use for the most part. 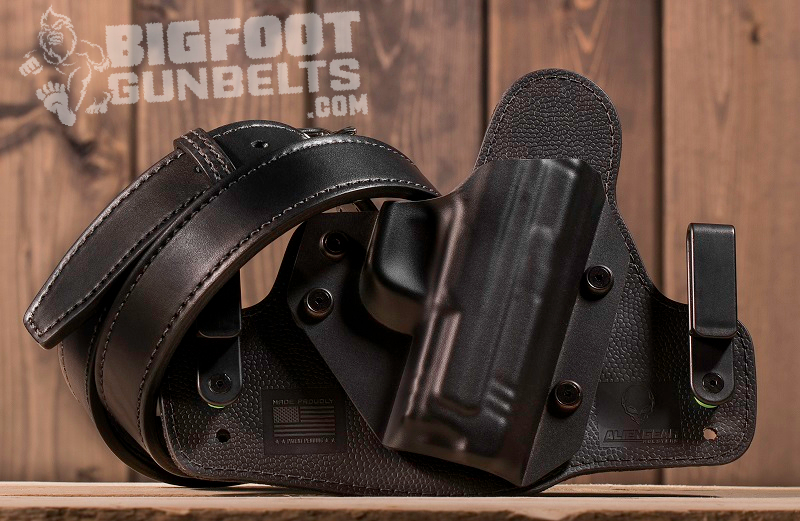 At minimum, wearing a hybrid holster requires a strong gun belt to carry, as does any belt holster. The hybrid holster design came about in the past decade or so, after the advent of the Kydex holster. Kydex is a type of hard plastic, which is hard but also somewhat pliable and not too brittle. There are other plastics, such as Boltaron, that are also used in holster manufacturing, but Kydex is most common. What a number of people noticed was that Kydex was easier and cheaper to make into a holster than leather. Seriously - Google "DIY Kydex Holster" sometime. That isn't to say a tinkerer making a holster out in the back 40 is better than companies with national presence, or for that matter worse, but it's not the most difficult thing in the world. Anyway, somewhere along the line, holster makers figured out that a big plastic pancake holster isn't the most comfortable, so they thought "why not put a plastic shell over a leather backer?" The chocolate got into the peanut butter and voilà. More designs have emerged. Other backing materials are out there besides leather, such as neoprene, mesh, nylon and other fabrics. Some companies use multi-layer designs incorporating some or all of the above. The advantages of the hybrid design is that the disadvantages of leather and nylon holsters - such as poor if not abhorrent reholstering, can get very sweaty inside the waistband - and those of purely Kydex holsters - some are very uncomfortable - are gotten around. Hybrid holsters have the comfort of a cloth backer but secure retention and easy reholstering of a Kydex holster. Wearing one is fairly simple - there are both IWB and OWB hybrid holsters. 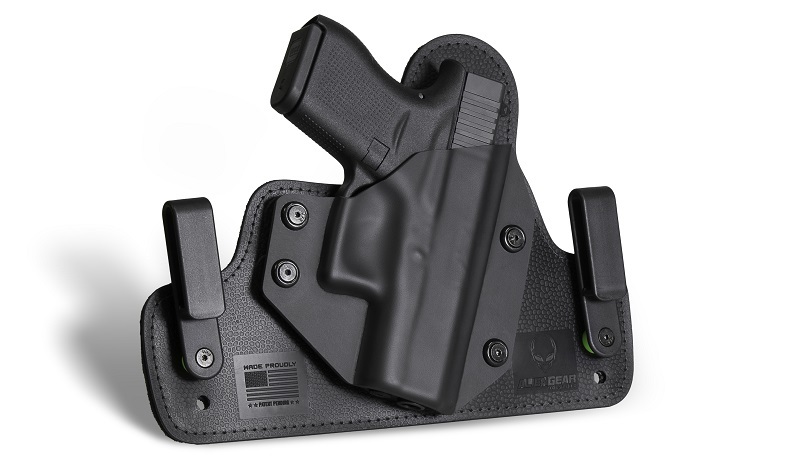 For a hybrid IWB holster, it's much like wearing an IWB holster of any other design. The wearer will have to have pants that are loose enough to accommodate the holster and pistol. 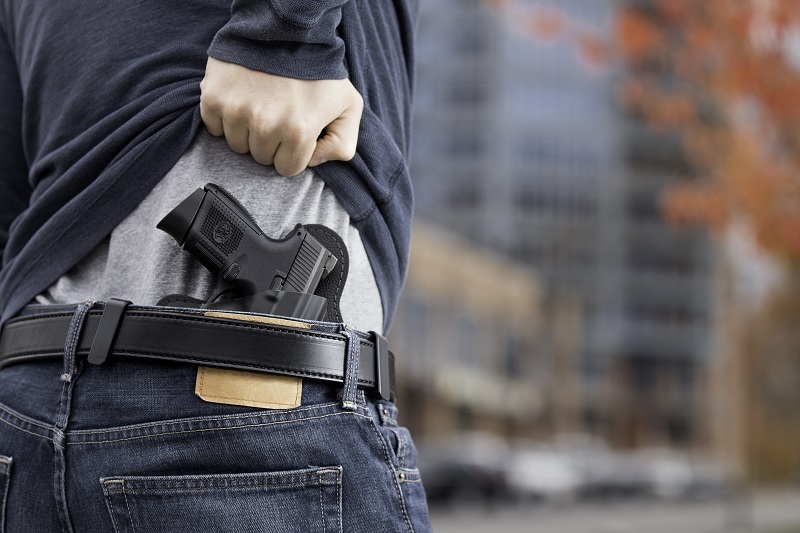 Position the pistol where it rides most comfortably once the trousers and holster are secured by your gun belt - and you need one if you're going to carry IWB. Belt clips can go over the waistband, or over the waistband and the belt; the latter is quite common. There are some holster belt clips - the "C" and "J" clips available from many makers - that tuck under the belt. The "C" clip design requires the belt to be threaded through the clip, though the "J" clip tucks under the belt. These are very popular for deep concealment, as very little of the belt clip shows. From there, cover the holster with a shirt as normal. Some people will tuck their shirt over the holster for maximum concealment. Many hybrid IWB holsters are fairly long, almost ten inches across in some cases. While ungainly, this spreads the weight of the firearm over a larger area, making for an easy carry. There are a number of hybrid OWB holster designs available as well. Typically, these designs feature reinforced holes in the holster backer. The wearer threads their gun belt through the reinforced belt holes, securing the holster to the wearer. Some designs, though, feature belt loops, either of leather or plastic. Again, the belt just threads through. As the belt is fastened, the holster tightens against the body and secures. OWB holsters are more popular for open carry than concealed carry, but some designs are quite easily concealed and some are not. Many hybrid OWB holsters are of the "high-riding" variety. There are even a number of convertible holsters that can be employed as an OWB or IWB holster; the owner just has to swap a bit of hardware. 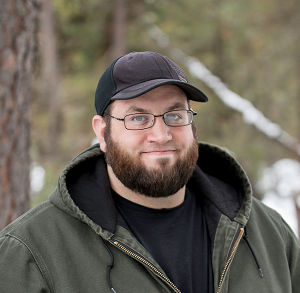 For concealment, simply cover with an untucked shirt or outerwear. Again, some require more than others - many high-ride OWB holsters can be concealed with a t-shirt. Really, wearing a hybrid holster is no different than wearing other designs - it's just that they're built a bit different.